Colombia is the second most bio-diverse country in the world. Located in the north of South America, it has coastline on both the Caribbean Sea and the Pacific Ocean, borders the Darien jungle to its west, and the Amazon to its east. Sitting just slightly north of the equator, it has an equal 12 hours of daylight and darkness with very little variation during the year. The weather here varies quite a bit from region to region within the country making it one of the reasons Colombia is so fascinating. From tropical ocean beaches, temperate mountain areas, and even a snow-capped mountain, Colombia has it all. While there aren´t any official seasons, some months are drier or rainier than others. Below is a breakdown of the climatic areas you can experience in Colombia. With the three ranges of the Andes mountains running through the country, a large portion of the more populated cities and towns lie in mountainous terrain. Even within the mountain areas there are variations in temperature depending on the altitude. Also, the farther up the mountain you go, the greater the difference between daytime and nighttime temperatures. Medellín, Colombia’s second largest city, sits at 5,000 feet above sea level and is considered to have perfect spring-like weather all year round. Daytime highs here average in the mid-70´s F to low-80´s F with very little humidity. Evening temperatures dip down into the mid-60´s F. So, you won´t need more than a light jacket. Just outside of Medellín are several small pueblos (towns) that are farther up in the mountains. The temperatures in the daytime are the same as in the city, but are much cooler at night. Some homes have fireplaces to keep away the chill and a heavier sweater or jacket is required. 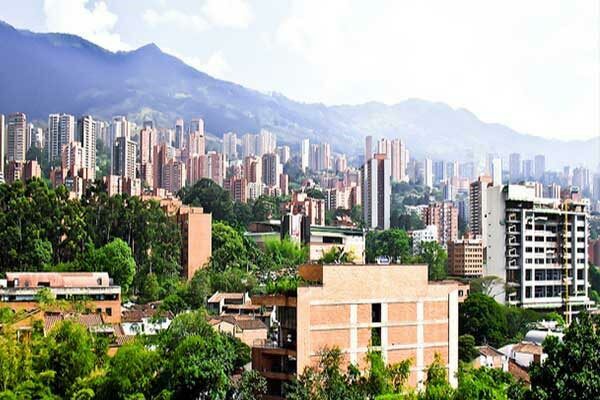 The cities of Bucaramanga at 3,150 feet above sea level and Pereira at 4,630 feet, both have climates and temperatures similar to Medellín. Bogotá, Colombia’s capital, sits higher at 8,660 feet above sea level. Due to the higher altitude, average daytime high temperatures are in the mid-60´s F. In the evening it reaches a cool 50 F. Jackets, thin scarves, and leather boots are normal attire in Bogotá. April, May, October, and November are months that tend to have more rain in the mountains than the rest of the year. During these months you can expect to have some amount of rain nearly every day, most likely in the afternoons or at night. Days can begin sunny and warm but always bring an umbrella with you rain is likely can last for a couple of hours. Colombia is the only South American country that has coastlines on both the Pacific Ocean and the Caribbean Sea giving both cities and towns hot, humid, tropical weather. Living by the coast means evening sea breezes make the nighttime temperatures a bit more palatable. Most people tend to live on the Caribbean coast rather than the Pacific side of Colombia, with the coastal cities of Cartagena, Santa Marta, and Barranquilla popular places to visit and retire. There, daytime high temperatures reach the low 90´s F and cool down to mid-70´s F at night. With humidity hovering around 80%, the “real feel” temperature in these cities can be even hotter. 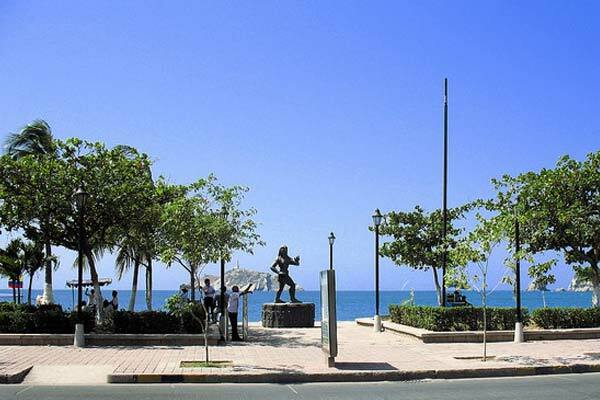 Santa Marta tends to be a little bit more comfortable and less humid due to the cooling breezes that come in off the snow-covered Sierra Nevada mountain, only 26 miles from the downtown. These coastal communities have significantly less rain than in the mountains. There is essentially no rain during December through April, and only September and October are considered rainy months. Aquaceros (downpours) are common during these months. The streets can flood due to a large amount of rain in a short period of time. However, within a few hours after the rain stops, the streets are clear again. The rest of the year typically only sees a small amount of precipitation. Diverse Colombia also possesses both ends of the humidity spectrum: arid desert and steamy rainforest. While very few people live in these extreme climates, they attract tourists and expat retirees who want to experience all that Colombia has to offer. The desert area of La Guajira at the northernmost point of South America has only a handful of rainy days each year. Temperatures in the Amazon rainforest average 80 F and 85% humidity, with very little variation all year long. June is the peak month for rain with 14 inches, and September is the driest month with only 3.5 inches of rain. 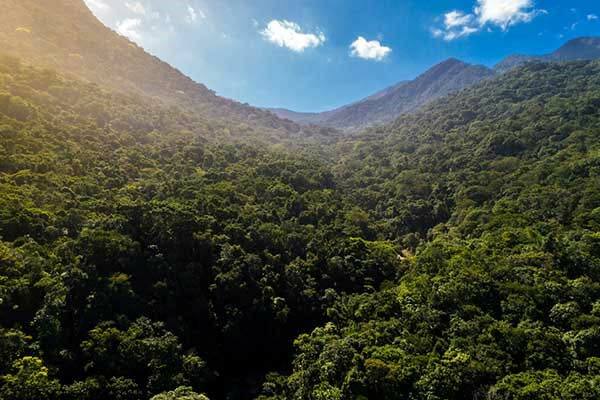 As one of the most biodiverse countries in the world, Colombia offers huge variety in choice, meaning you can find whatever climate you desire, there truly is something for everyone in Colombia.